Phu Quoc Island or Pearl island is a paradise on earth with picturesque landscapes. Here, with many smaller islands but not less beautiful and many world-class beaches will definitely bring you an unforgettable experience during your trip. 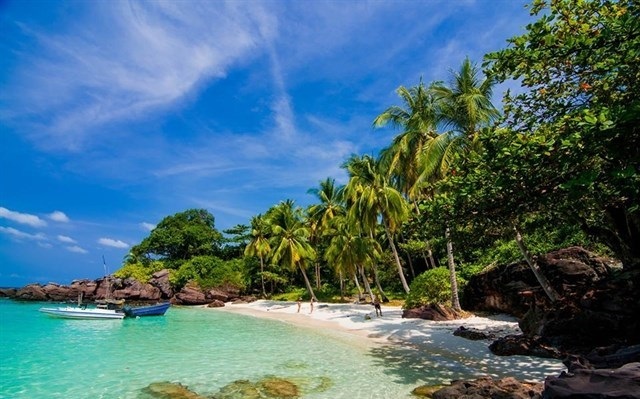 Coming to Hon Mot, the forgotten land in Phu Quoc, you will find out that this is a special island with no emissions, no noise of city, no buildings, no car, just one peaceful place with beautiful beach. 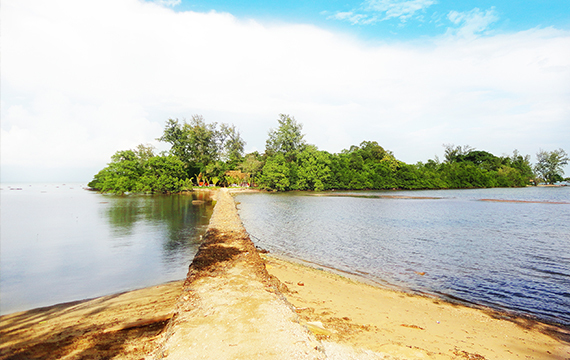 It is only 200m from Phu Quoc island and there is a small wooden bridge to help everyone get there, but you can go on foot because the sea is shallow and cool. Hon Mot seems to be separated from everything outside, so if you are looking for an ideal resort with modern facilities, don’t go here. But if you simply want to find an untouched and peaceful place to make a campfire with your friends, this will be the perfect choice. Ganh Dau Cape is quite quiet, pristine and sparsely populated. The beach at Ganh Dau is like a crescent moon, covered by two mountains like wings of seabird flying over the free sky. It is so pure and fascinating with smooth white sand, smooth blue waves and clear water that you can see the bottom. If you want to paint a picture of this place, you just need two colors - blue and green. After sightseeing, swimming or having fun, you can enjoy seafood such as: shrimp, fish, cuttlefish .... The fishermen will be enthusiatic to process them in the way you like if you ask for. 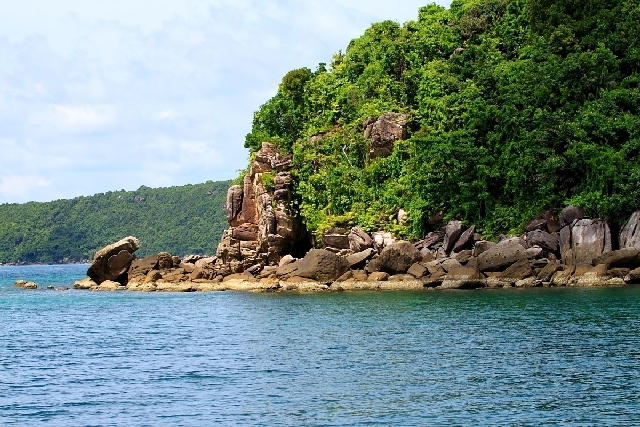 Mong Tay Island is a quite big island located in the north of Phu Quoc Island. This island is famous for its wilderness because there is few inhabitants living here and it haven't affected so much by tourism. You can immerse yourself in the scenery of the jade green water, small waves of sea, smooth white sand and rows of green coconut. The fresh air and and stunning views here will make you get away from tiredness and anxiety. It is definitely a paradise on earth. If you do not believe, come to Mong Tay island to verify that. Ong Doi Cape has unique terrain, surrounded by two oceans, forming a small waist running along Khem beach. 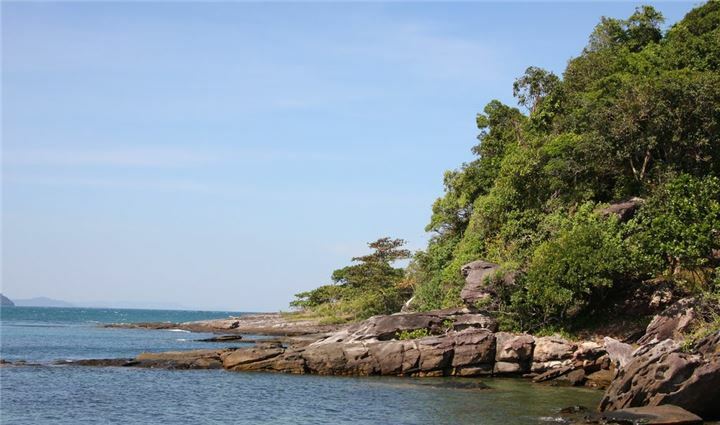 Nowadays, this Cape still retains its original wilderness with many stones in the white sand beach, that is attractive to tourists.This is also an ideal place for diving, snorkeling or fishing….when you travel to Phu Quoc Island. 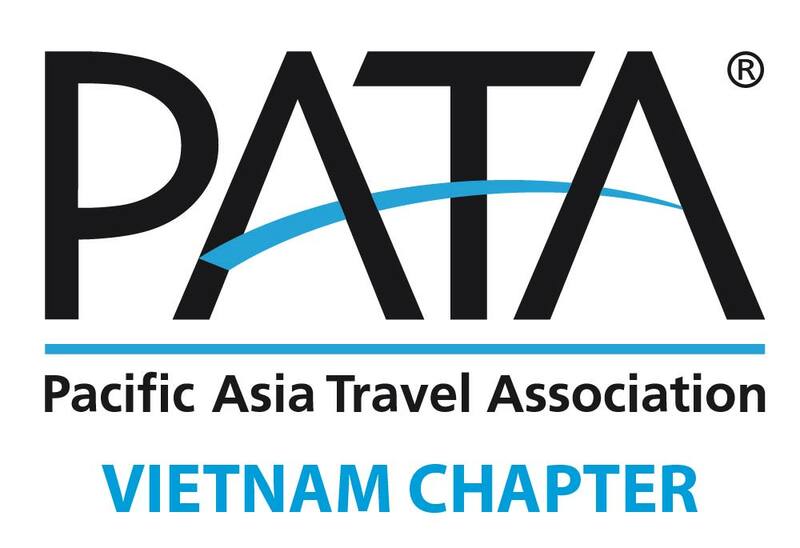 Moreover, at Ong Do cape, you can watch the dawn and the sunset just at one location, that’s amazing and you can’t find anywhere else to do that in Phu Quoc during your trip. 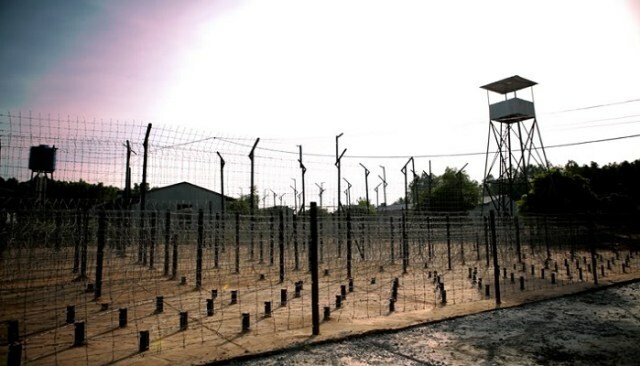 Besides the magnificent scenes, Phu Quoc Island also has the historical marks of Vietnam War such as Phu Quoc prison. Today, the prison still retains many artifacts as well as documentaries to repeat the history of fierce war and the heroic past of the Vietnamese people.